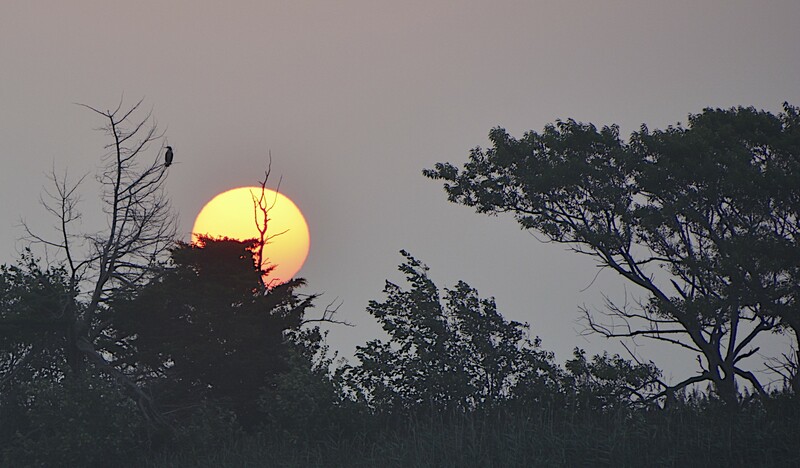 Approximately 6:35 AM from the Serengeti… NO NO, the Jersey Shore! A Cormorant awaits the warmth of the sun on what will be a blistering hot day. Is that a cormorant on that tree? Yes. Interestingly , they spend their days diving for food for up to a minute or two at a time, under the surface. Later they are seen perched an docks or boats or what-ever with wings out-stretched to dry in the sun.